An 8-month-old baby had a dead mouse in her mouth at a Newark, N.J., day care center, according to an ABC News report. The horrified mother, Brittany Barba, said that her daughter Alanah was sick for hours after the mouse was discovered by the baby's grandmother, who works at the Donald K. Tucker Childcare Center. "Lately she's been vomiting. 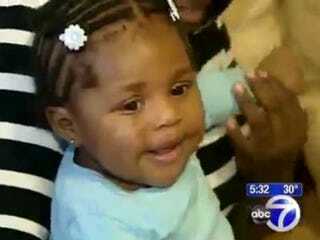 Everything she's eaten, she's throwing it back up," the mother told ABC News. The family immediately pulled the child from the center. Kiburi Tucker, the center's executive director, said that this was an isolated incident. "I was really hurt by this; it could have been my child," he told ABC News. He also vowed that it would never happen again because he was hiring an exterminator to come in twice a month. The state health department paid a visit to the center and suggested various prevention methods to avoid a recurrence. Read more at WABC and the Daily News.